Spoken by a small, bespectacled grandmother by the name of Zonia Sanchez, these seven words reached across the desk and grabbed the ear of the Lancaster lawmaker seated beneath the California State flag. As Assemblyman Tom Lackey listened, Sanchez told a tale too often heard from other caretakers of young children like her. A few years ago, Sanchez’s daughter became a new mother. Yet because she was single, she could not go to college and take care of the baby at the same time. So she waited – and waited – to move up the waiting list for subsidized child care. Finally, Sanchez quit her job in order to take care of her grandson so her daughter could go back to college. Further attempts to enroll the boy in subsidized child care failed because her husband, a carpenter, and her daughter, a supermarket clerk, earned too much. Then, when the boy was 3, they tried to enroll him in a preschool program – but there were 150 children on the waiting list ahead of him. Lackey, who started out as a special education teacher, responded with the three words Sanchez most hoped to hear. 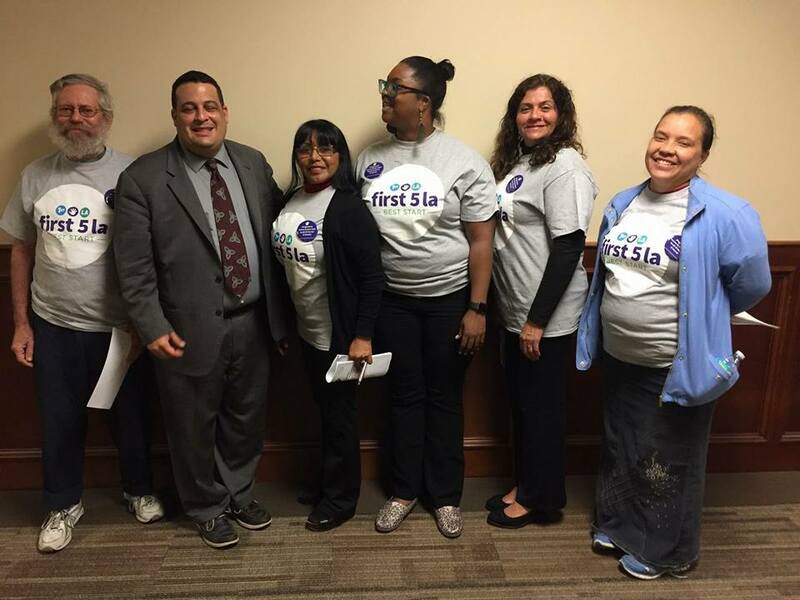 In an effort to help local and state elected officials better understand the challenges facing young children and their families in Los Angeles County, members of the 14 First 5 LA-supported Best Start Community Partnerships have shared their stories and concerns with lawmakers in face-to-face discussions, at city council meetings and in other public forums. The issues they raise range from early care and education to kid-friendly parks to neighborhood safety. Best Start brings together parents and caregivers, residents, organizations, businesses, government institutions and other stakeholders to collectively build a vision and develop strategies to create the best possible community for young children and their families. They collaborate to improve a community’s policies, resources and services to better support residents, and create that place where families can thrive. At the same time, Best Start provides the skills-building and leadership training to help them achieve their goals and ensure that children enter kindergarten ready to succeed in school and in life. This is done through groups called Community Partnerships, which meet on a regular basis. Sanchez, a member of the Best Start Lancaster Community Partnership, was joined in Lackey’s Lancaster office in April by Best Start Palmdale Guidance Body member Lilia Sanchez and Best Start Palmdale President Sabrena Whigham. They were accompanied by First 5 LA Government Affairs Manager Tessa Charnofsky and Community Relations Officer Alejandra Marroquin. As illustrated by Sanchez’s story, the top of the agenda in the meeting with Assemblyman Lackey was ensuring that young children have an opportunity to learn. While Governor Jerry Brown’s revised budget in early May provided some good news in that arena, significant child care and early education shortages persist. The California Budget and Policy Center found that child care and preschool is still funded 20 percent below pre-recession levels and that a typical single mother in California would have to spend two-thirds of her paycheck to cover child care costs. In Los Angeles County, licensed early care and education centers and family child care homes are only able to serve 1 in 7 working parents with infants and toddlers, according to The State of Early Care and Education in Los Angeles County: Los Angeles County Child Care Planning Committee 2017 Needs Assessment. Two parents working minimum-wage jobs full time now earn “too much” to qualify for state subsidized child care and preschool. Statewide, more than 1.2 million children eligible for subsidized child care did not receive services from state programs in 2015. Whigham, a 30-year-veteran child care provider, pointed out to the Assemblyman that the child care businesses, too, are being impacted. She has helped a number of low-income parents acquire scholarships to pay for their child care and covered costs in some cases when parents struggled with state subsidy eligibility requirements and processing problems. 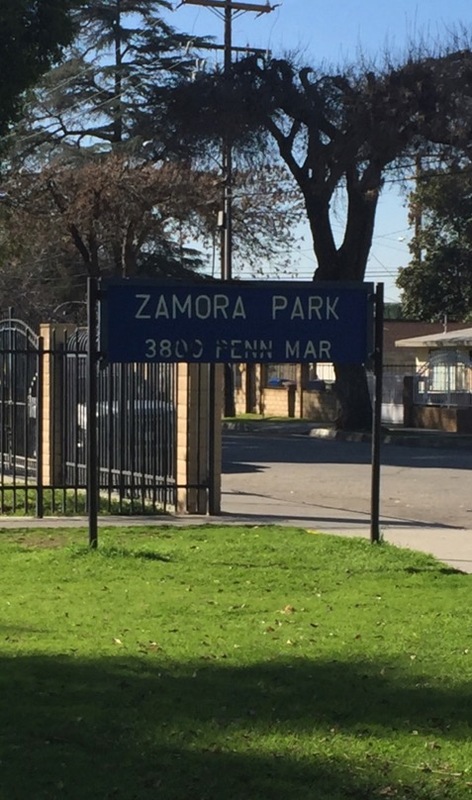 From her home in El Monte, Yadira Lue can see Zamora Park across the street. And when her 4-year-old boy wants to go play on the swings, she takes him outside. And walks past the park. And keeps walking, and walking, and walking. Two miles later, she is at the closest safe park with play equipment for her young child: San Angelo Park in La Puente. The reason: Lue does not like what she sees going on in Zamora Park from her home. And while the gang problem no longer plagues the park, the history of violence is still etched in the burned benches and lingering graffiti. Nor does the decaying equipment and lack of illumination inspire Lue to play with her young son across the street. Fortunately, Lue found a place to share her concerns over Zamora Park last year within the Best Start El Monte/South El Monte Community Partnership, where she is a member. Together, they began work to improve the 5-acre park. In January of 2017, Lue and several members of the partnership visited the park to document the needs and opportunities for enhancement, taking photographs and talking to an El Monte Police officer who patrolled the park about his security recommendations. Partnership members also visited nearby Gibson Mariposa Park in El Monte to take photos of that park’s amenities for comparison to Zamora Park. Meanwhile, the Best Start El Monte/South El Monte Community Partnership learned that the City of El Monte was already considering doing improvements at Zamora Park and was in the early stages of this process, eliciting community feedback and working with an architect on early designs. Sensing the opportunity to work with the city to enhance the park, the partnership decided to deliver their “wish list” for the park at the March El Monte City Council meeting. For Lue, this would have been an impossible task not long ago. Parks that are attractive and safe are places where families come together. When families utilize a park, they become the guardian of that park, and they help keep away the criminal element. A 2012 UCLA Center for Health Policy Research report found that 50 percent of El Monte’s children are overweight or obese. Having a place where children can run and play will help them and their families live healthier, more active lifestyles. Lue and her fellow partnership members also presented the city council with a wish list that included park cleanup and removal of damaged benches and tables. Bigger wishes included adding protective roofs and shelters for the kids’ play areas to protect them from the sun as well as the development of a “Splash Area” where local children can play in cool water during hot summer months. The benefits of Best Start’s participation in the city council meeting go beyond just one park, he said. So effective was the presentation, in fact, the city asked the partnership to write a letter in support of a $5 million state grant application for the city’s proposed Zamora Park Renovation Project.